Gum Dental has been proudly treating dental patients of the Lehigh Valley for 23 years. 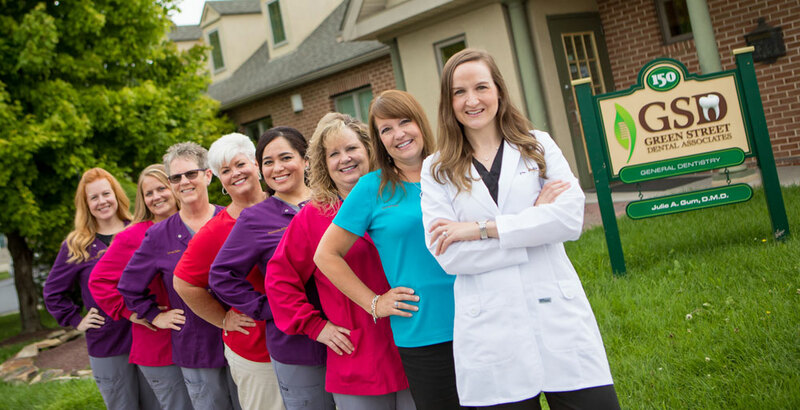 Dr. Julie Gum and staff pride themselves on providing you with the utmost professional and personal service. We proudly treat you with the latest technology and reduced pain techniques, together utilizing a combined 100 years dental experience, in order to achieve an overall healthy mouth. 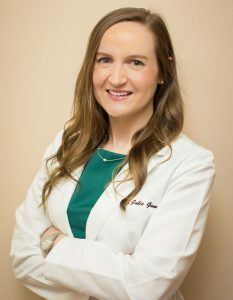 Dr. Julie Gum grew up locally in Pen Argyl, Pennsylvania. She graduated from Pen Argyl Area High School and attended University of Pittsburgh where she received her Bachelor of Science in Biology. She continued her studies at University of Pittsburgh School of Dental Medicine where she graduated in 2013 with her Doctorate in Dental Medicine. After graduating from dental school Dr. Gum moved back to the Lehigh Valley to be closer to family and friends. Prior to purchasing the practice in February of 2017, Dr. Gum was a full-time associate at Gum Dental for four years. Dr. Gum enjoys regularly attending continuing education seminars in a variety of topics including cosmetic dentistry, endodontics, implants, and is certified in Invisalign. 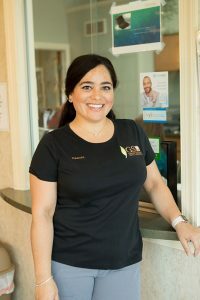 She is a member of the American Dental Association, the American Academy of Cosmetic Dentistry, the Academy of General Dentistry, and the Lehigh Valley Dental Study Club to name a few. When not practicing dentistry, Dr. Gum enjoys spending time with her husband, Anthony, and their golden retriever, Summit. She also enjoys skiing, hiking, yoga, traveling, and good food. Hygienist Yolanda is a 2009 graduate of Northampton Community College Dental Hygiene program and was honored to be class president. She holds her certification to administer anesthesia. Yolanda loves the dental profession and holds many years of knowledgeable experience. In addition to being a hygienist, she also has been an instructor for the Gum Dental Assistant Institute since 2008. Her experience and great knowledge of the dental field allow her to provide hands-on training for students wanting to become dental assistants. Yolanda is patient, kind and passionate about her patients and the dental field. 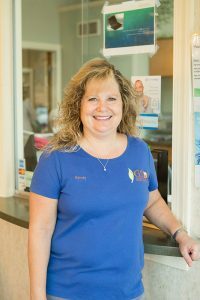 Linda began her career in dentistry 30 years ago as a dental assistant. Working as a dental assistant made Linda realize she wanted a larger role in the dental office. In 1973, Linda graduated from Northampton Community College, with an Associates Degree in Applied Science, Dental Hygiene. Linda has continued her education to become certified to administer anesthesia. She has been working with Dr. Olenwine for the past 14 years and loves her chosen career! Sandy is a 1986 graduate of Northampton Community College. She received her degree in Dental Assisting and currently holds both her CDA (Certified Dental Assistant) and EFDA (Expanded Function Dental Assistant) licenses. 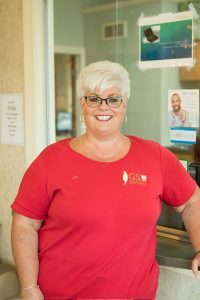 Sandy holds 30 years dental experience in all dental specialties, but truly enjoys general dentistry, which allows her the opportunity to provide a variety of treatments to patients throughout the day. Additionally, Sandy has 10 years experience with sedation dentistry. She really knows how to care for our patients! Heather is a 2009 graduate of Northampton Community College. Joining our practice in September 2014, she brings 10 years of dental experience with her. She was previously a dental assistant for both general practice and an orthodontic practice. She enjoys spending her free time with her family and is an animal lover. 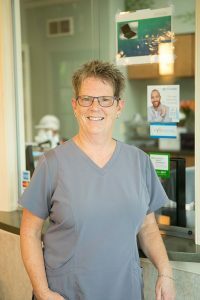 Christine has been working in the dental field for over 17 years, initially as a dental surgical assistant and transitioning to the front desk 5 years ago. 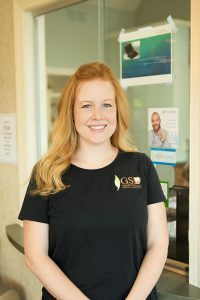 She started with Gum Dental in May 2015 and will greet you at the front desk. She is here to help you with your insurance and billing needs. In addition, Christine has her certification in dental radiology. She resides in Nazareth and enjoys spending time with her children, family and friends and also enjoys traveling. She’s a graduate of Bangor Area High School and Northampton Community College with an Associate’s degree in medical science. 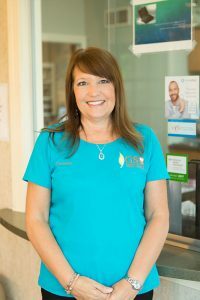 Jill has been working at GSD for four years, as both infection control and front office scheduler. She had received her radiology license in December 2016. She enjoys reading, gardening and spending time with family, friends and her black lab, Guinness.